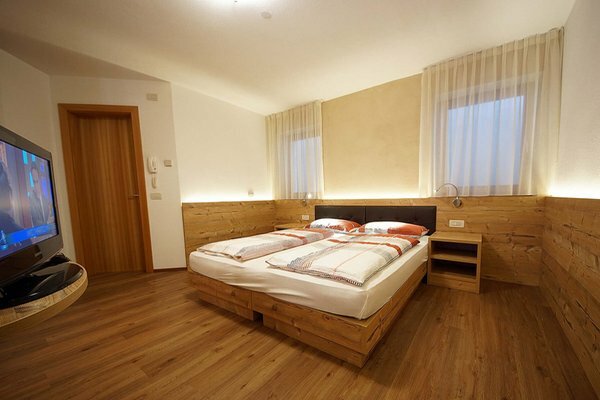 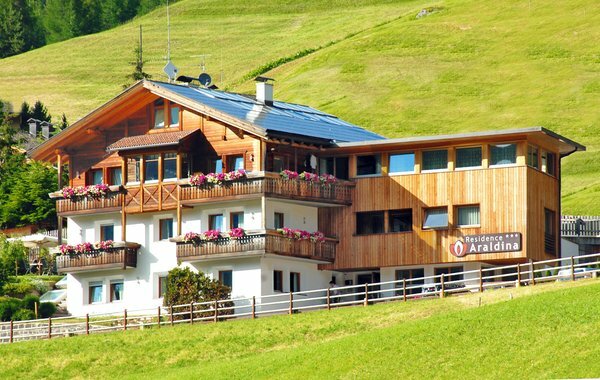 Residence Araldina is situated in San Cassiano in Alta Badia, in the enchanting natural scenery of the Dolomites. 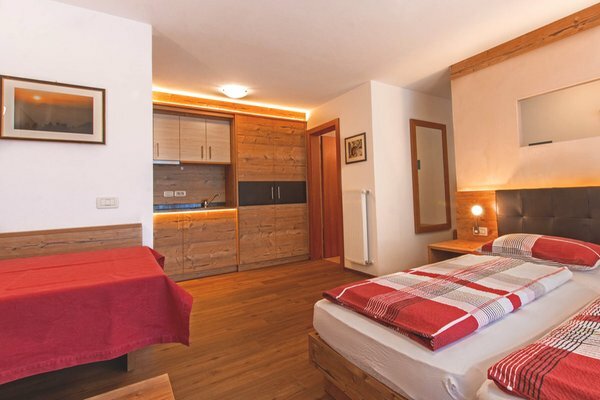 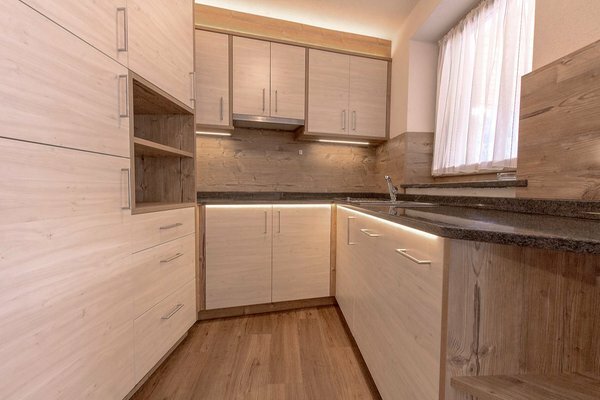 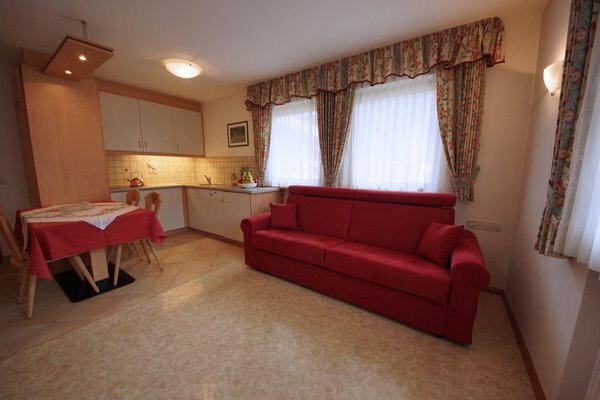 The holiday apartments represent the best solution for relaxing holidays in direct contact with the nature, surrounded by the beautiful Dolomites. 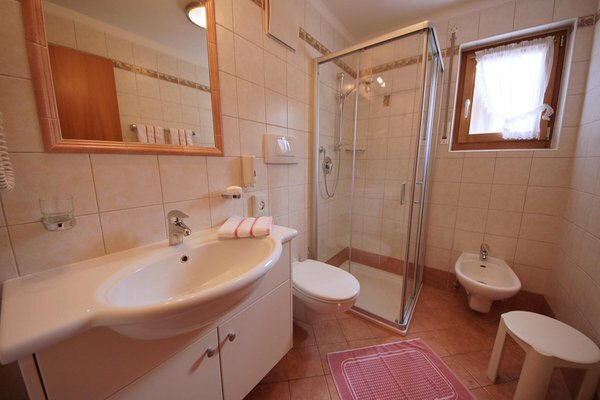 Here you have the possibility to practice any kind of sport. 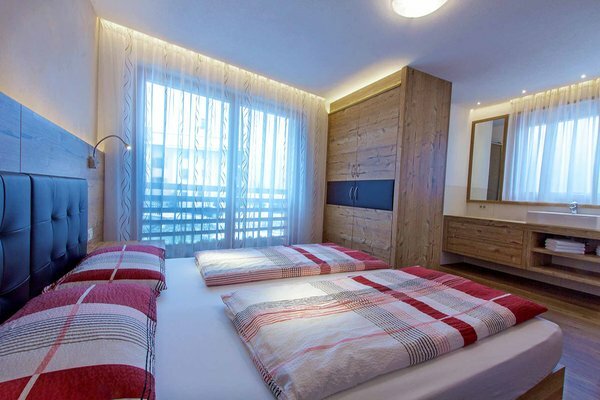 Alta Badia is famous for two major sport events such as the Alpine Ski World Cup and the Dolomites Marathon, which attract every year thousands of fans from all around the world. 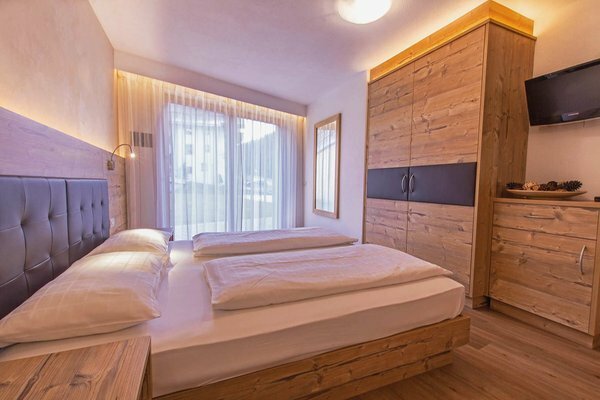 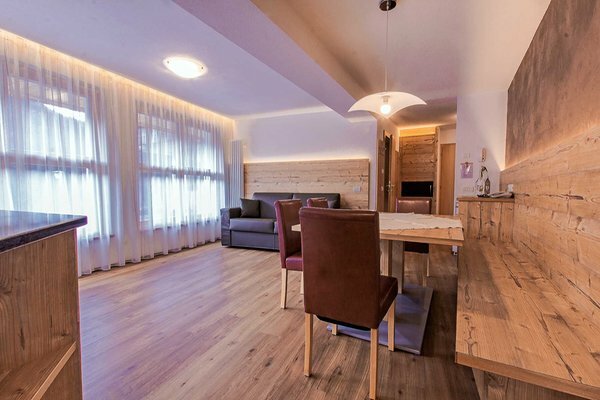 The rooms and apartments offer every type of comfort and the residence is just a few minutes from wonderful winter paradises such as the Alta Badia ski area, the Dolomiti Superski carousel, the Marmolada and the Sellaronda. 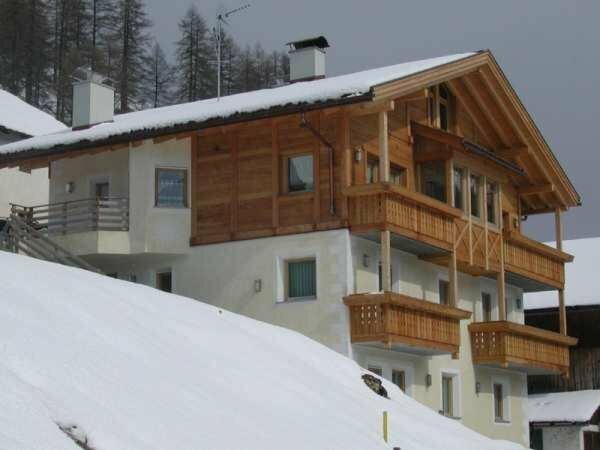 The ski lifts, starting point for unforgettable days of skiing and hiking, are located only 1 km from the residence and are easily and quickly accessible by ski bus. The bus stop is right outside the front door of the house. 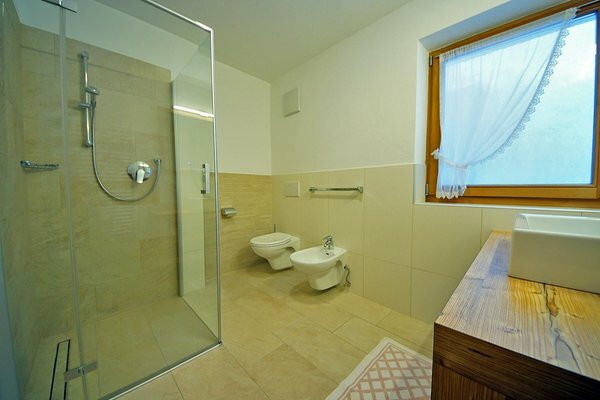 Residence Araldina offers 5 apartments and, for any combination or as an alternative, some rooms with private bathroom, double bed or extra bed. 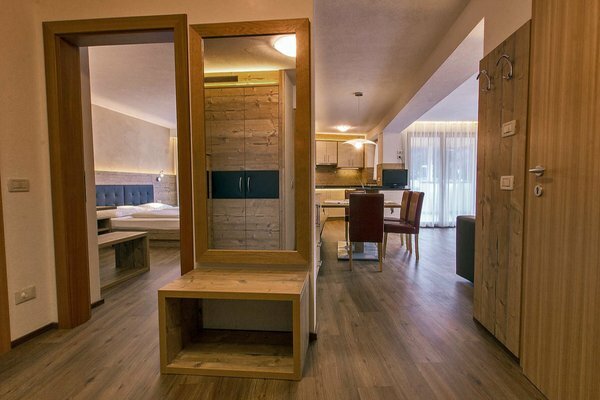 The rooms offer private bathroom and are equipped with a bench with table convertible into a third bed, and some of them also have a terrace. 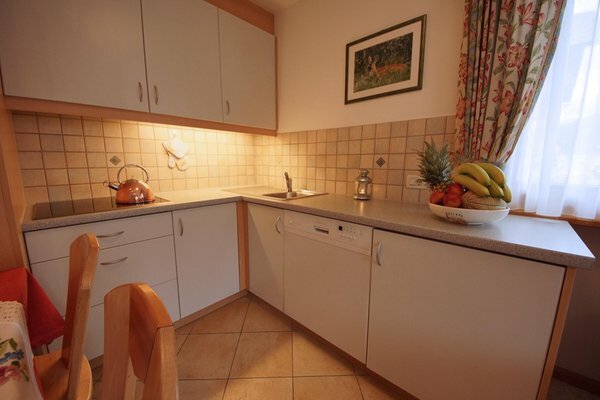 Furthermore you can use a kitchen in a separate room or, at your choice, opt for breakfast or half-board service in the neighbouring hotel. 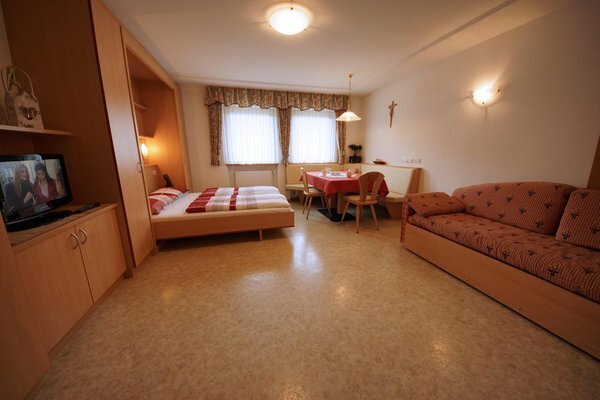 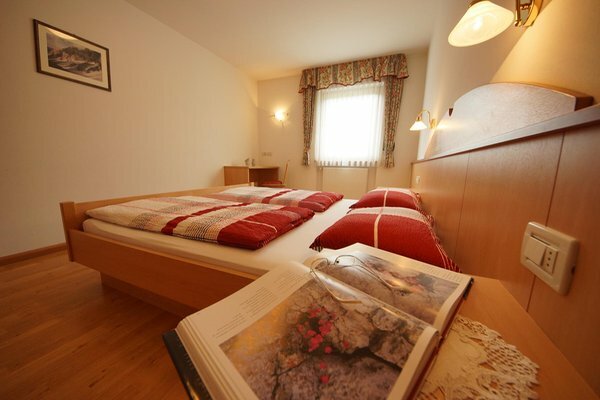 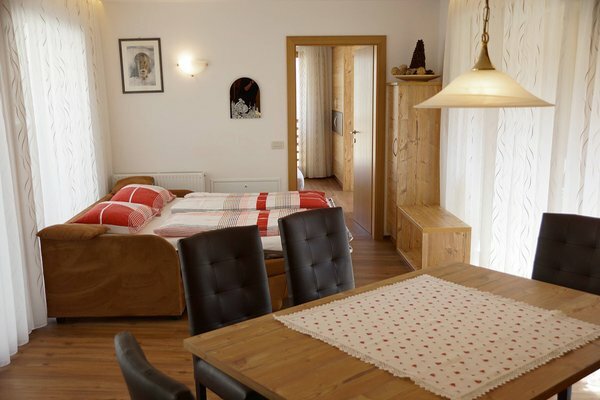 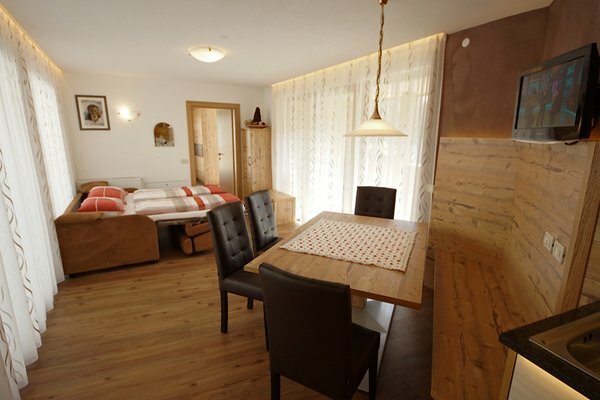 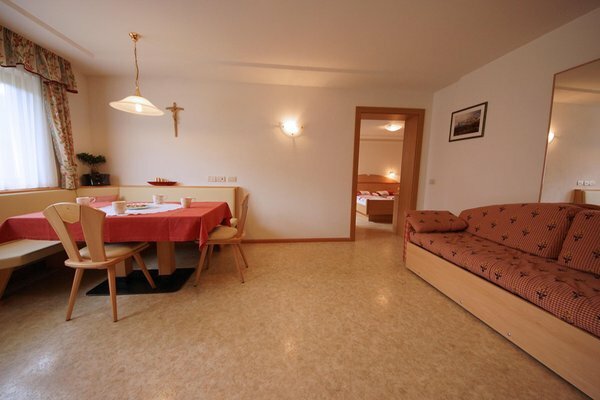 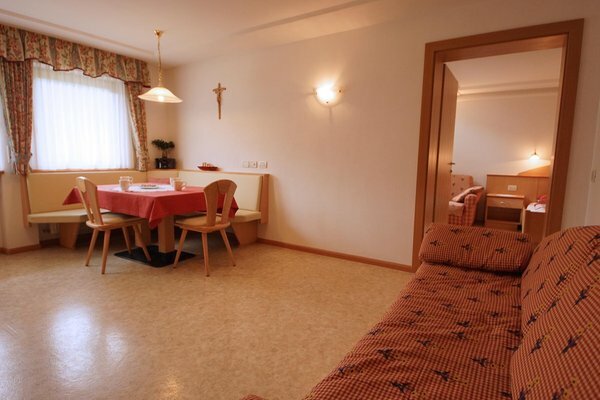 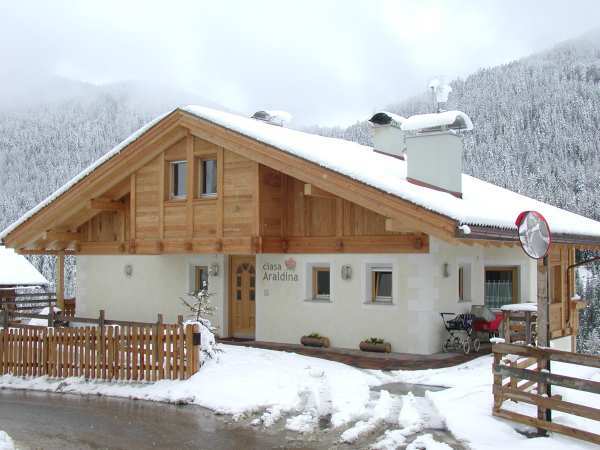 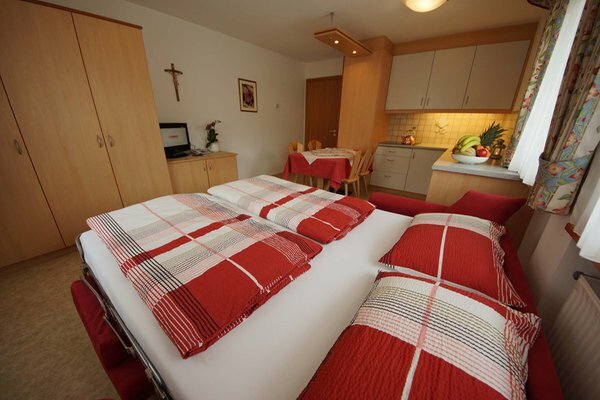 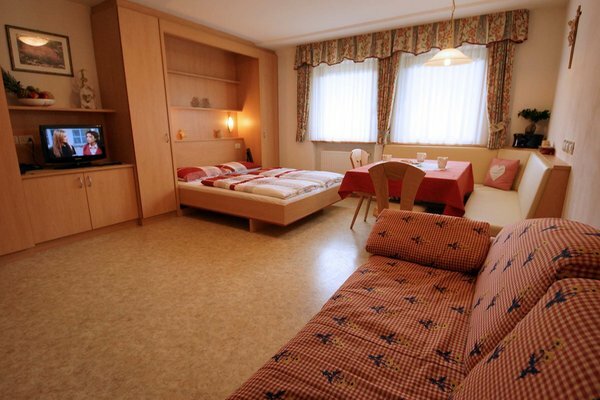 General information at 1550m amsl, 20m from the bus stop, "bike friendly", "bikers welcome"
King-size bedroom with bathroom, possibility third bed. 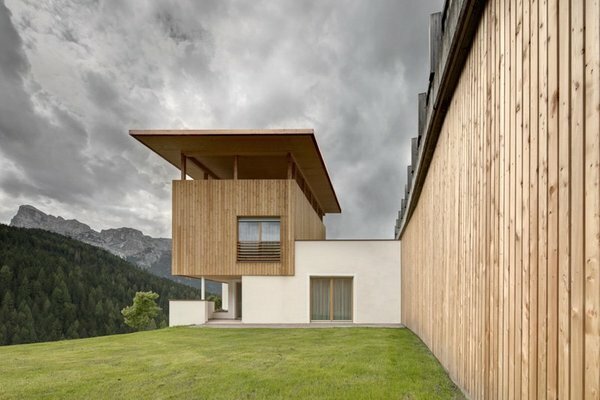 North oriented, indirect light irradiation, skylight and window to air and light shaft. 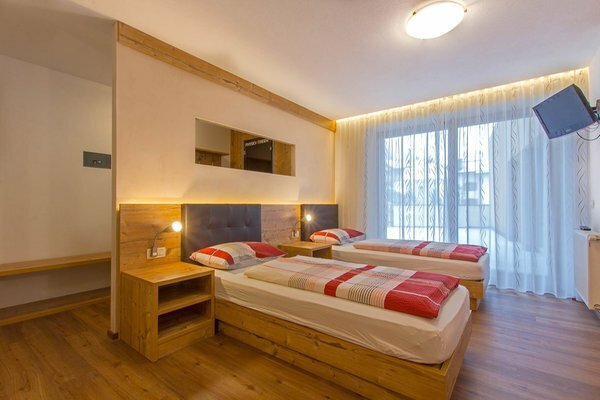 The room has a double bed, a table with chair, a couch with possibility to use it as a third bed, a bathroom/WC with shower, washbasin, hairdryer and towel heater. 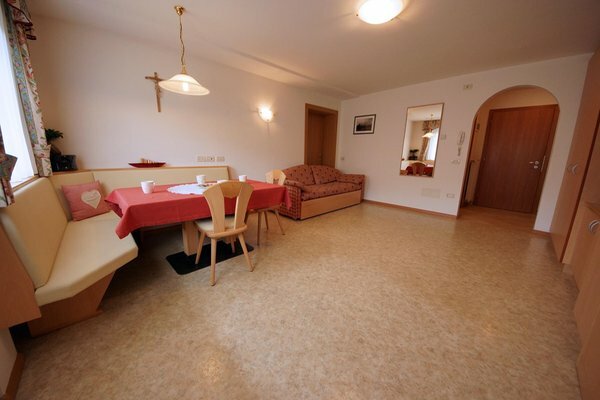 TV, SAT, telephone, free internet connection. 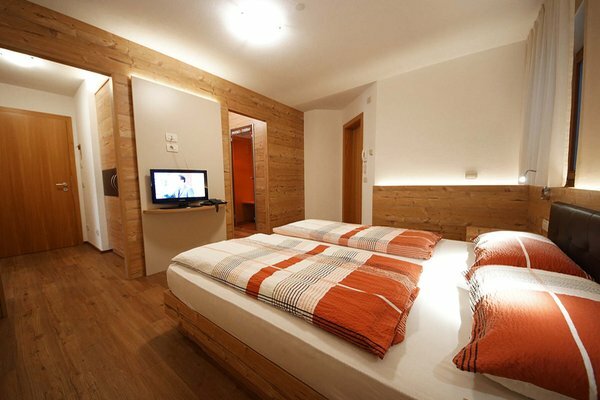 Room with double bed or twin beds, infrared sauna. 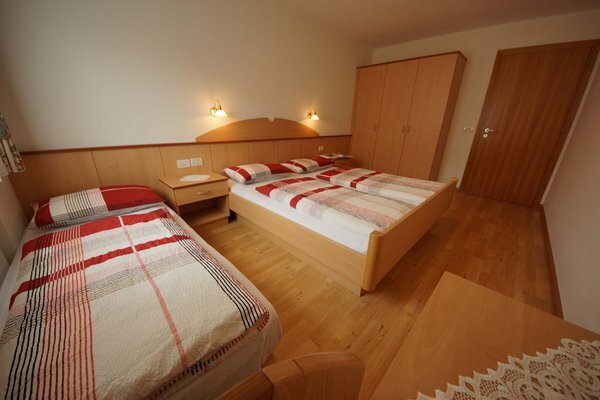 Separated bedroom with double bed and single bed. 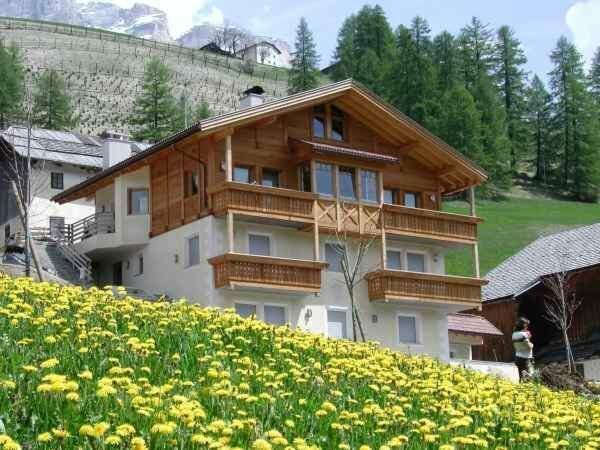 Terrace and access to the garden. 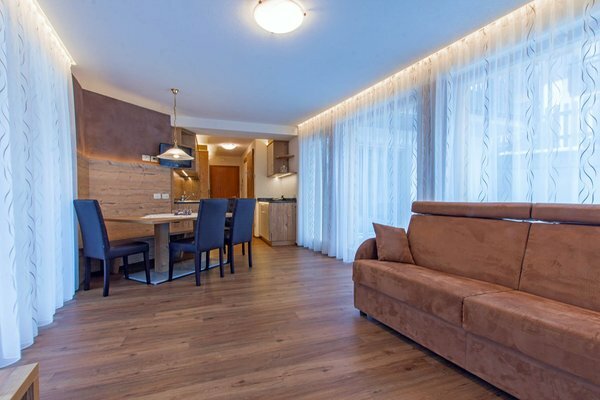 Relax area with infrared sauna, with terrace. 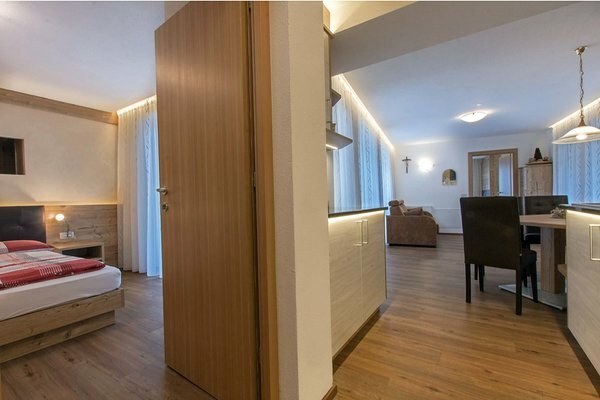 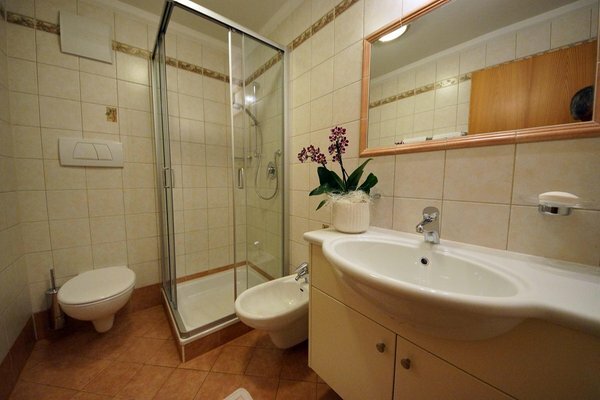 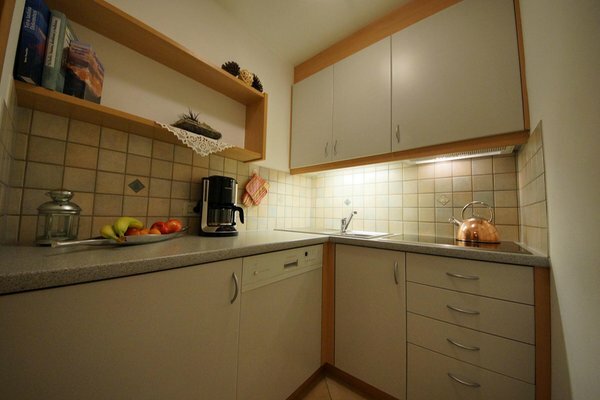 Superior Apartment with balcony and sauna, upon combination with Apartment Superior 24. 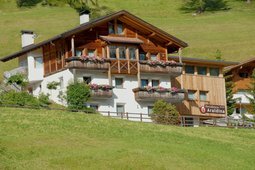 Information about the location: at 1550m amsl, 20m from the bus stop, nearest slopes at 1km, closest cross-country trails at 3km. 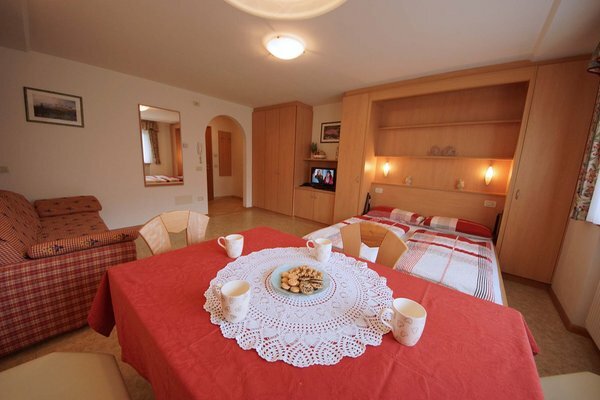 Are you interested in Residence Araldina?